Clyde Mighells is a magician who also marked a line of escape equipment. 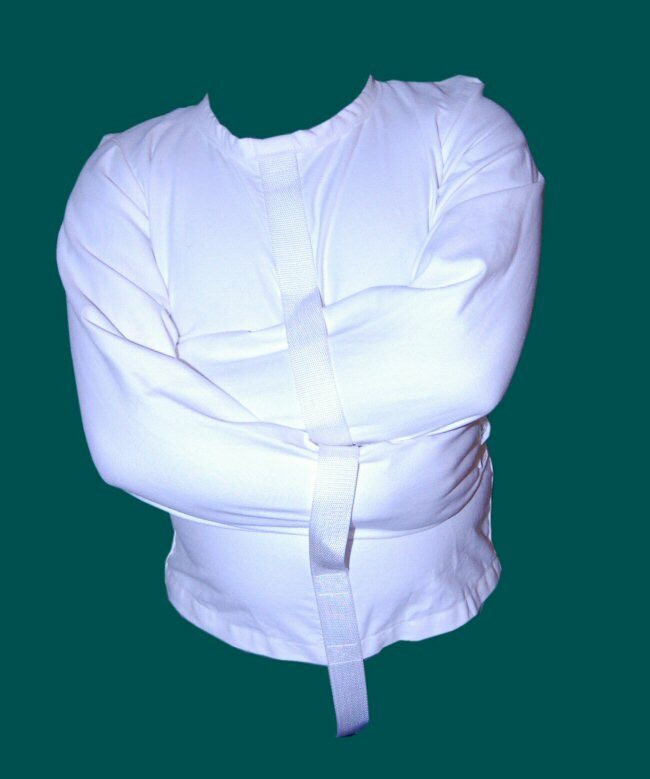 Included are a series of very nice straitjackets. His hospital jacket shown here is has a unigue double front strape. It has rollar buckles and if properly fit is is quite secure. It is nicel made a good choice for anyone looking for a low cost hospital style jacket.